Packed with 24g of plant-powered protein, which helps to grow and maintain important muscle, Brown Rice Protein is ideal for all your goals — whether you want to crush a kettlebell workout or cycle the track faster than before. To stay topped up on protein, add our Protein Cookie — a delicious way to get protein, along with important carbs to fuel your day. This product is 100% Brown Rice Concentrate with nothing added or taken away. I chose this one after reading all the other reviews for dairy free protein powders. I can pretty much tolerate any shake powder (taste wise)... but this stuff takes it to a whole other level of gross... I struggled to get one down.. Good luck! I have a food sensitivity to dairy products, so I have to avoid whey proteins and casein. 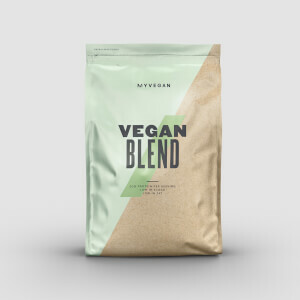 My next choice would be hemp protein, but the Vegan line doesn't have this option. Brown rice protein is a good alternative. It's not as grainy as I was lead to believe from other reviews. And I do like the Vanilla flavor. But I add FlavDrops to mix it up a bit. I like to use the Mocha ones in the morning and the Maple ones in the afternoon. These make the shake taste even better, a little like a dessert shake! The protein is easy to blend because it's a very fine powder. So fine that you get a little dust cloud every time you pour the powder or open/close the bag. I guess that would be the only down-side to this item. I like to drink my protein shakes, not inhale them! This protein is really grainy and irritates my throat when I drink it. It feels like you're drinking sand paper chunks. I literally feel it scraping away on my esophagus. Maybe if myprotein could make the protein more smother it would be better. But for now this protein is a no go for me. I have been using several different protein powders over the last 7 years. I used whey for a long time and just put up with the bloating. I decided to try a few lactose-free options, all of which gave me terrible gas (pea protein tasted awful and gave me such bad gas my wife nearly left me). I moved over to this brown rice protein and was not expecting anything much better. I don't get bloated after drinking it, I haven't had any gas at all, it's been only a few weeks so too soon to see how well it helps the muscle gain. Only cons are that it can be a little grainy on the tongue when mixed, I have the stevia mix which I love but some colleagues find too sweet. I have found a drop of peanut butter really balances out the consistency. This has been my favourite protein powder so far, also is hopefully better for the environment. I purchased this protein powder a few months ago, because it was just a low price and you can't beat the number of servings. I thought why not. This is one of the best decisions I have ever made. I LOVE this stuff. I am never going to buy any other protein powder ever again. This will always be my "go to stuff". Now, if you read all of the other reviews how "this tastes like sawdust" or "not good alone" I 100% agree with everyone. This stuff is not the best with water, not at all. You better drink it fast if you use water. It is like licking wood. Now, on the flip side throw it in a shake or use a liquid (I use soy milk daily) it makes it tolerable. Still does not taste like cake and marshmallows? No, but do protein shakes really taste like that. Not really, no. If you find one let me know. My favorite part is the price and what it does for my stomach. I used to have bad stomach pains after the gym. I always thought it was because I would drink my whey protein shake with milk too quickly. After waiting 10, 15 and 20 min after my workout to consume it nothing worked. So, I just kept dealing with it knowing I would eat food 2 hours later. I managed my time accordingly. On a whim I purchased this for the price and quantity. Then an ah-ha moment happened. I consumed it directly at the gym and BOOM my stomach did not hurt, nor did I feel bloated. It was the milk or whey. Whatever, it was the dairy. After looking at other rice protein powders on amazon and other places this is the best bang for your buck. Simple, cheap, effective, and amount. Can't beat it. Soy Milk, Blended Shake, I am sure milk. Anything really, except water. Been my go to for about a year since I went vegan. It's plain flavored and naturally earthy / has a saw dust taste. Mix it with some frozen fruit and cacao powder and it's perfect. As for macros. Just as good as whey for cal/protein content along with some Fibre. Get product. Just wish it was in stock more often. The 5.5 pound bag went quick because I drank it very frequently. The taste was very smooth and somewhat sweet. It really tastes what it looks like. Nutty, cocoa, earthy. I was very pleased. Like a lot of people, I don't handle dairy very well. This becomes an issue when it comes to supplements. For a couple years I've done Carnivor Beef Protein, but was hoping to find something that wasn't meat-based. The reviews on the Brown Rice Protein seemed pretty good, so I gave it a whirl. It's disgusting. I'm a hardgainer, so I'll take what I can get in terms of macros; it ain't always gonna be delicious. But brace yourself with this stuff. They should use it to build bridges. It tastes TREMENDOUSLY bad and mixes into a thick enough solution to pave your driveway with, but protein is protein. You just need to ask yourself: how bad do I want these gains?